I bought this add on tomorrow but i can't install it because Store Framework can't be installed. I have try to use installer by Windigo, and by installing manually. Please help! This is not my first time. I have installed many add ons in my board, included some yours add on. So, of course i have followed all the steps. 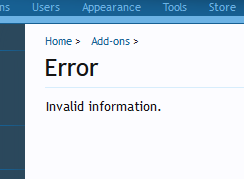 Could you please submit a ticket that contains your forum URL to our Technical Department ? We will check your issue. This is funny. Store Framework done. Now it is happen with Credits Premium. I install it in localhost. I never failed before this add on. 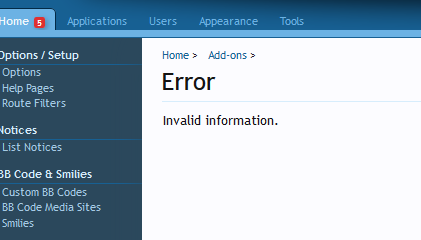 So that means you unable to install our add-ons on localhost. In case, you still need to installing our add-ons on localhost, please submit a ticket that contains your localhost IP addrsess. We will add it to whitelist IP .